Showing results for tags 'giga'. people claim that, ON OFFICIAL 65k+ HP and 3000%+ melee rexes are achievable and that feat is just cake. how do you respond to it? A big chuckle? Scratch the head? I've read a lot of topics regarding rexes mutation/breeding, boss rexes stats, and never seen that kinda numbers on official. Just some basic questions here. Does anyone know how high the melee of a giga at hatch can get, or at least what is the highest you've seen yourself? Does it get much over 300? I'm looking into buying giga eggs and want to get some pretty good ones and not waste time on ones with mediocre stats. Also, does anyone know about how much a really good egg is worth in terms of turrets? I'm on xbox if that matters. Some palyers on my server have gigas with 70-200k hp. We are an easy pvp server on ark mobile, so i dont know how theyve done it. My gigas are when hatched normal stats with 17k hp and fully imp 34k hp. So how tf do they get soo much hp? Do i breed gigas wrong? Pls help me! Got kicked out of the server about 10 times killing alphas, took forever! In the past two days I get on and there is a giga in my base. The first one was a 130 and the one today was a 15. Sadly lost some dinos. I'm in a PVE server. My base is located at the bottom of volcano and the redwoods river or spino river. Which ever you would like to call it. Is that a spawn point? Or is it possible someone is somehow getting them in my base. The base is completely in closed by bahemmoth gates, I tried glitching my giga through and cant find a way in walking. Advice is welcome! If you're sick of dealing with the same old people on your current server, come on over to Wild Alpha Pvp medium difficulty. We have 3x harvesting, 2x Xp, boosted breeding. We also do level transfers so if you're coming from another server we will level you to your exact level from your last server. Just send a ss of your level AND server info to my discord WiLdAzDaTaLiBaN#2464. So in my single player game, i was doing the hunt giga pursuit. It led me to the volcano in which i flew into the middle of the tracking circle provided by the pursuit to find a giga. However i couldnt see any giga anywhere. I flew around the mountain serval times up, down, left, right and concluded the giga has to be somehow glitched inside the rock. Is there a way to despawn it or somehow fix this bug?? Also to add, when this happens no other giga spawns anywhere. 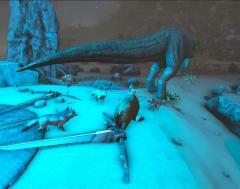 Ive spent time clearing other dinos around the giga spawn points for a couple hours now none seem to spawn. Hey, so i was just doing my hunt giga pursuit. I went to the volcano and on my map it daid a giga was close. I went to the exact location but the gigs asnt there. Ive looked many times. I suspect its glitched inside the volcano. Because of this no other gigas are spawning everewhere. Do you guys have a solution? My Dino was killed since its exceeded max Z bound. Please help,i just tamed Giganotosaurus and order it to follow me back home, a few second it was gone, disappear in my dinos list. The red text shonw up “it was killed since it exceeded max Z bound” i play on mobile version. I have 20hrs left to revive it. PLEASE HELP! how can i sove this problem? What is Z-bound? P.S the number of dinos of my tribe is not exceed yet. So earlier I logged onto ark to find that 3/5 of my gigas had died. Tribe log just says they were killed, not killed by anything or starved. They were on passive in a behemoth gate cage so they couldn't of been kited off and I had fed them the day before so they did not starve. This is on official pve so players couldn't of killed them. Any ideas how they couldve died? How do I find a Giga? I need to know where to find a Giga. I'm on a singleplayer world on Xbox One. Anyone have advice? ark tek Weird things that still are happening in ark! I don't know if this is the case for every official PVE server but I still notice some weird things in ark. I am not going to call them an Error but they are definitely things that leave your head scratching. Here are some of the things that i am still unable to understand or that i believe they are weird: 1. Building issues in Icebergs. This is my personal weird thing since i move to the island map. I build an entire base on the iceberg that looks like an inverted cone behind the Blue obelisk but when i need to build in the base of the iceberg it says that is too far up from the ground even when i put Aberration cliff platforms on the base. 2. Am i the only one who thinks that tek generator should be able to function to replace all cable systems on the base? i mean, all i am saying is that the limit of the range shouldn't affect the element consumption. that would get rid of some rendering issues and it would actually make more sense as it is supposedly a better generator than the normal one. not to mention it would mean that people would not need to build so many unnecessarily big bases since you wouldn't need to make a ton of normal troughs around the base to feed your 500 dinos. Also, it would make pvp more fun as one tek generator would be the priority to destroy inside a base because that would be the main thing to destroy...definitely would improve the game in both pve and pvp. 3. Should Tek armor need element to run? I think it shouldn't be the case. Hear me out! How much more fun would be to just fly around the base with the tek armor to do your boring tasks? not to mention that people barely use it because it uses element like crazy. So the best armor is...practically an aesthetics ware rather than a practical one. It is expensive to build (compare to other) yet we rather walk with other armors as this one is just too expensive to keep using for what it actually does. 4. Tek dinos...what is the purpose of this? I am still wondering what this are for... they dont do anything new, nor have a special trait other than they start a bit higher level... something that to those who already have rexes with 20k hp+ and 800 melee is more that pointless to work on the stats...either in pve or pvp... just a weird addition. Dont get me wrong, I like the tek Rex and Tek Raptor but...usless...unless you are new but even then it would be just easier to find someone who sells you a good fert rex egg and start from high stats now. (this is in regards to official play) 5. Am I the only one who thinks that the spino spawn on the island should be double? I mean, i play often and i am only able to find about 10 spinos per week...it is a DILO kinna thing. 6. Thylas not allowed in boss...is just weird. just saying! ? 7. Gigas are pretty usless...on pve. Maybe they should be allowed in bosses ? (at least 1) i know it would make things a lot easier but dang it...takes two weeks to grow 1 and all they do is farm meat...are you kidding me?! lol Well, this are some of my own personal DILO/weird things i still see happening or that are part of ark. What are yours? ? My ark user name is tvod and i play on the PvE Hard server Obelisk. Before my incident I have seen and heard of other tribes being tormented by certain Chinese tribes. They would say these tribes drop mammoths and therizinos onto peoples base and demand a payment or would kill your dinos and take the saddles. Although sad I didn't think anything would happen to our tribe as we never bothered any of the Chinese tribes and it was PvE. However, last night I was in swamp cave with an ally when i started receiving messages that my dinos had begun dying. As my base was located along the southern beaches, around 84 Lat 59 Long, I decided to die in swamp cave and respawn at my base to see what was happening. When i re-spawned I had saw that some chinese tribes had lured a level 140 Giganotosaur into my base. Whether they revived one or lured one from a mountain I am not sure but it would seem that they revived it close by as I have never seen a Giga spawn near the southern beaches. The Giga ended up killing about 40 of my tribe's tames and killed me several times as I was trying to save them. The event lasted until the only tames I had left were a couple Rexes. I understand respawning dinos is a mechanic in the game but something must be done about luring Gigas into someone's base in a PvE server. Also, I could not build walls up any higher as I got the "too many structures nearby" error but we only had two small houses on that base. What do you guys think can be done to prevent harassment in PvE servers. I received no warning or explanation from the chinese tribes as they all typed chinese so I am still confused as to why this happened. Has this happened to anyone on other PvE servers? Hey guys I'm brand new to the forums so I hope I'm posting this in the right place. I'm pretty new to the game as well. Been playing the game a while now though and am at level 87. 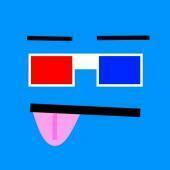 (I mostly host a non-dedicated server and play with 1 or 2 friends. I'm just curious if these things are just THAT powerful, or if maybe this one was bugged, or if there was something else going on I'm unaware of. Thanks in advance. Yesterday a buddy and I stumbled upon our first giga, pure white, (idk if color matters or affects anything) and level 35 (which to my understanding is a pretty low level) while mining metal with 5 or 6 large, low-ish level dinos, for transportation. By the time I saw it it was to late. Wiped us all. Which is fine. I totally get that. Fair play. However. After swooping in and nabbing our inventories. We decided to try and tame it, (lol) not realizing how big of a task that was. I did some research and found out just futile the effort was. Anyways. We exhausted all our tranq arrows and decided to give up. We then realized we had, without meaning to, led this thing very, very close to our main base. We have 30-40 low level dinos there. Including our 1 and only rex that we managed to trap and tame. So, (shame on us) we decided to cheat, not wanting to lose what was essentially all of the progress we'd made so far. I logged off, went into single player and enabled creative mode. Crafted a rocket launcher and a bunch of homing missiles. I then proceeded to spend 20-25 minutes pumping rockets into this thing practically non stop. Never even appeared to get bloody. I have damage counts on. And was hitting it for tons of damage. But never seemed to make progress. On top of that, this thing managed to kill me twice. Even in creative mode when I got too close to it. Then suddenly the thing just up and vanished while I was in my inventory making another rpg. Idk if it despawned or if I just somehow lost track of the thing. So are they just so strong they can eat hundreds of homing missiles? Was this one bugged? Or was the fact that I was in creative mode somehow affecting it? Would really appreciate the input from you guys. Like I said I'm pretty new to the game. And still dont know all the ins and outs. Thanks! Edit: also I play on ps4. If that matters. I’m at a point now in my single player game where the only thing I have yet to do is kill a titanosaur. Now I’d like a little bit of advice before I go charging in. (Drowning the Titan is out of the question. It is too far inland and I do not want to risk my mosasaurs). In particular, I’d like to know if anyone has managed to slay these beasts with gigas yet. My plan is to breed a male and female giga(so they are mate boosted), fully imprint both, and equip them with the best saddles I can get my hands on. I’d expect them to have about about 35k health and 45% melee once leveled. So my question is will this be enough to take out a level 1 titanosaur?